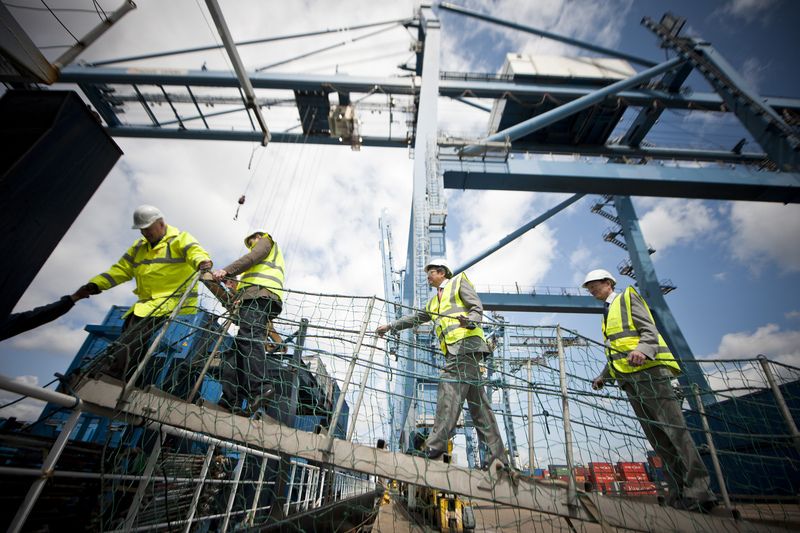 Britain believes it can start EU trade talks in October despite European Commission warnings on slow progress. “We believe we’re in a good position, and would like to move on to discuss our future relationship”, a spokeswoman for UK prime minister Theresa May told media on Tuesday (29 August). 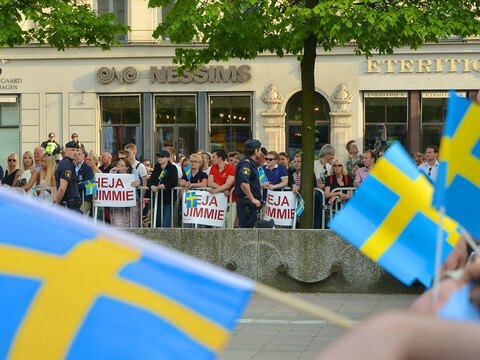 “There are lots of issues where we believe you can’t separate withdrawal from future relationship, and that’s what we’re seeking to agree by the October [EU] Council - that we can move on to talk about our future relationship,” she said. “Our desire is to discuss both at the same time," she added. "The EU needs to show more imagination and flexibility when it comes to these discussions,” she said. The EU has said “sufficient progress” must be made on three issues - citizens' rights, the Irish border, and the UK’s exit bill - prior to discussing future trade relations. The October EU summit will decide whether progress has been adequate. 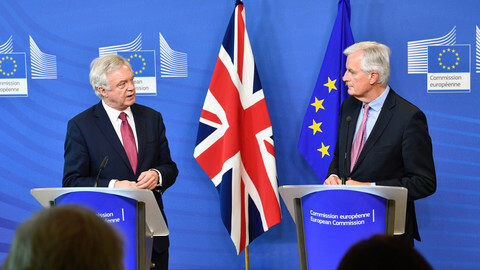 Britain spoke out amid the third round of Brexit negotiations in Brussels this week, with two more week-long sessions to take place prior to the summit. May’s office also referred to the fact the UK had published 11 “position papers” over the summer, dealing with issues that ranged from Ireland, to customs deals, and data protection. But Commission president Jean-Claude Juncker was less optimistic on the prospect of an October breakthrough. “I did read all the papers produced by Her Majesty’s government and none of them are actually satisfactory,” he told a meeting of EU ambassadors in Brussels on Tuesday. “We need to be crystal clear that we will commence no negotiations on the new relationship - particularly a new economic and trade relationship - between the UK and the EU before all these questions are resolved. First of all we settle the past before we look forward to the future,” he added. Meanwhile, this week’s Brexit talks made little progress in their first two days. 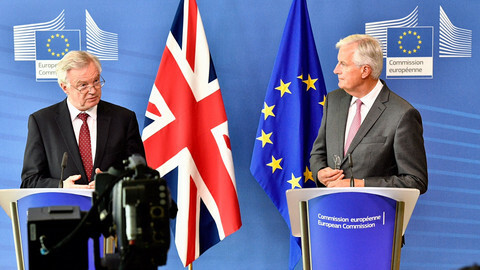 British officials told UK media that they had discussed two issues: the legality of an interim EU-UK deal that lasted more than two years and the basis for calculating the UK’s EU exit bill. May herself went to Japan on Tuesday to discuss North Korea and post-Brexit trade relations. 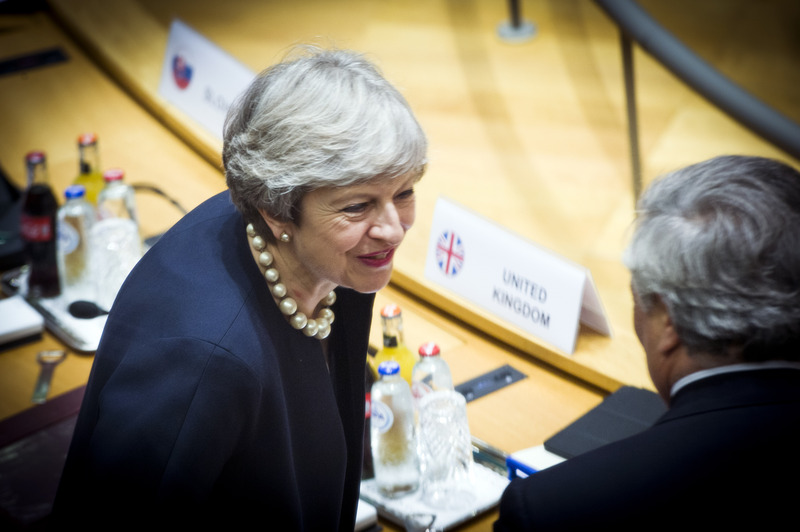 The EU and Japan are currently in talks on a free-trade accord, but May’s spokeswoman said that could act as a model for a future UK-Japan pact. “We want the EU deal to be concluded swiftly … if that’s concluded swiftly, it provides a good basis for continuity once we leave,” she said. Japanese officials told press they were concerned about the impact of Brexit on firms such as banks and car makers. The British opposition Labour party said May was “spooked” by the prospect of Japanese companies leaving the UK. “Theresa May is desperately trying to spin this visit as scoping out a future bilateral trade and investment agreement,” Barry Gardiner, Labour’s shadow trade chief, said. 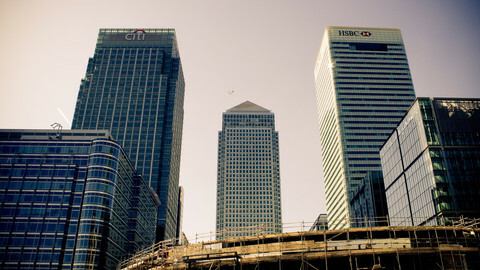 “The reality is that the government is spooked by the fact that Japanese banks like Nomura have already announced their intention to relocate their European HQ [from the UK] to Frankfurt". 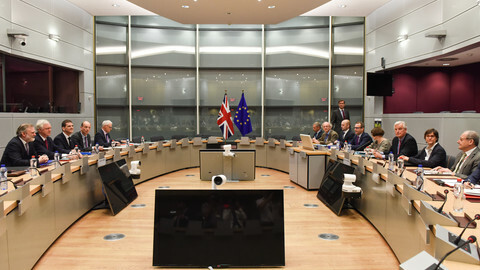 EU and British negotiators started the third round of Brexit talks amid growing disagreement on how the process is going. A senior EU official says "lack of substance" from the UK side is preventing considerable progress in Brexit talks. 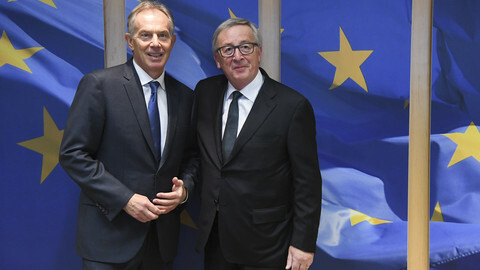 Blair and Davis could cross paths in the EU Commission building at next Thursday's Brexit talks, but timing was innocent Commission said. There is a distinct sense that in London and Brussels alike, political elites are intimately agreeing Brexit priorities with business elites. 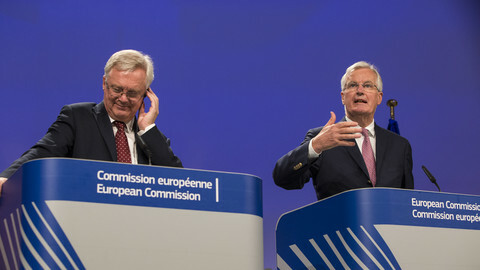 Three days of talks in Brussels have produced little progress and no easing of the tension between the EU and UK sides. Barnier said UK had backtracked on its Brexit financial settlement and was wishy washy on core issues. Davis said EU lacked flexibility.